When John Calipari ruled as general manager and coach, one of the interns within the New Jersey Nets' basketball operations had come to expect his frantic, flustered boss to deliver a most vain order. Calipari became obsessed with the callers to the midday New York radio show ripping into him, and orchestrated a counter propaganda program. And so was born "Anthony from Hoboken," several team sources said. Anthony was a staunch, defiant and fictional advocate for the eventually exiled Emperor of East Rutherford. He made calls to WFAN out of the Nets' offices, telling metropolitan New York that he was one fan who couldn't understand all the criticism heaped on Calipari. Come on man, Cal's doing a great job. Calipari had underlings searching his phones for ownership-installed listening devices, realizing little that those basketball ops guys assigned to the sweep wouldn't have known if they had even found one. Of course, they never did. 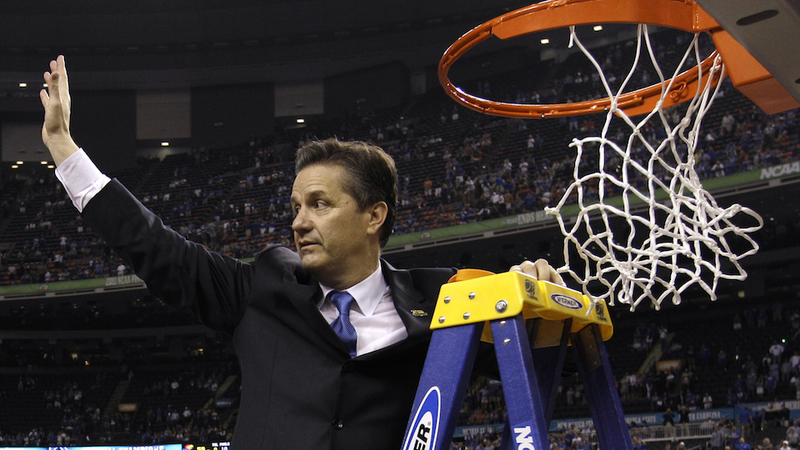 Calipari's contract with Kentucky runs through 2019, but he can leave after the 2014 season without paying the university a dime. Wojnarowski stresses that Calipari "has grown, but he hasn't changed," adding that the Knicks' chaotic atmosphere is one in which Calipari can be successful. Should he and the Knicks decide to join forces—and there's still nothing to indicate anything's imminent—Calipari would obviously be subject to the notorious whims of James Dolan. But at least he'll know they're out there.